A stubby screwdriver is a tool used to facilitate access to screws located in areas that cannot be reached easily by a regular screwdriver. Sometimes, screws exist in places that are not wide open and may have something blocking access to them from the opposite side. With a stubby screwdriver, it is possible to reach screws that are obstructed in some way because they are shorter than most screwdrivers. 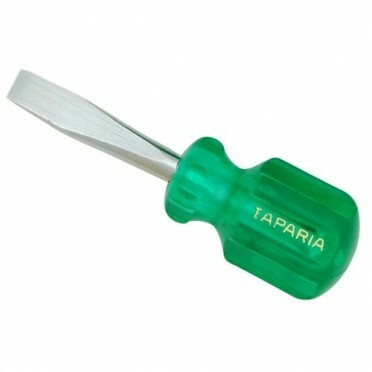 Another purpose of this type of screwdriver is ease of storage and transport. By design, stubby screwdrivers are much smaller than normal screwdrivers. Some people use them as emergency screwdrivers because the small item may be placed in a variety of spaces without taking up much room. Car glove boxes or other compartments in vehicles, purses, small tool boxes, and household drawers are all common places in which people may keep a stubby screwdriver.